The AEA’s fourth effort was the Silver Dart, designed and piloted by John Alexander Douglas (J.A.D.) McCurdy. It was first test-flown in Hammondsport, NY, on 6 December 1908 and was then shipped to Dr. Bell’s summer home in Baddeck on 6 January 1909. The Silver Dart was made principally of bamboo, ash, spruce, metal tubing, and wire cable. The wings were covered with silver-coloured, rubberized balloon cloth - hence the name Silver Dart. Its engine was a Curtis V-8 water-cooled engine that probably put out no more than 35 or 40 horsepower at 1,600 rpm. It spun a 2.43 m-diameter (8’) propeller. 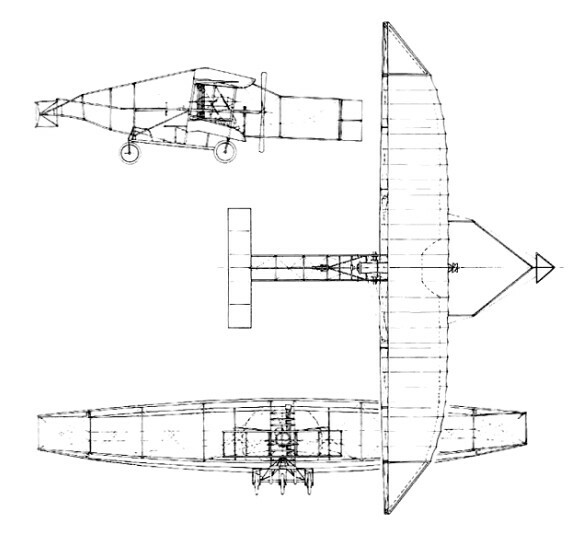 The Silver Dart had its two-plane elevator mounted on the front - canard style. It was 3.65 m (12’) wide and made the aircraft sensitive around its pitch axis. On February 23rd, 1909 it made history with McCurdy at the controls when it became the first controllable powered aircraft to fly in Canada. 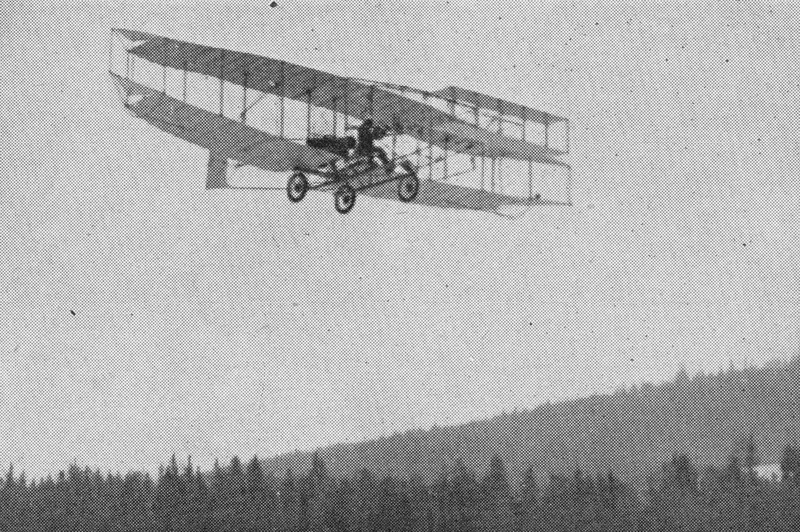 About two weeks later on March 10th 1909, McCurdy flew the aircraft on a 20-kilometer circular flight around Baddeck Bay. The Silver Dart made about 30 flights in the Baddeck area before the AEA proposed a demonstration to the Canadian Army. The Army was not all that enthusiastic but did invite the AEA to Petawawa, ON. The sandy and hilly take-off and landing areas made getting off the ground very difficult. On their 5th demo flight - with Casey Baldwin on board as a passenger - McCurdy struck a rise in the ground and crash-landed (on August 2, 1909). That was the end of the Silver Dart’s career after 50 flights. Only four pieces of the original aircraft remain - the fuel tank and radiator in the Bell Museum in Baddeck, and the engine and propeller in the Canadian Aviation Museum in Ottawa. On 3 February 1959, Canada celebrated the 50th anniversary of the Silver Dart flight by flying a replica Silver Dart over the same ground, and J.A.D. McCurdy was made an Honourary Air Commodore.